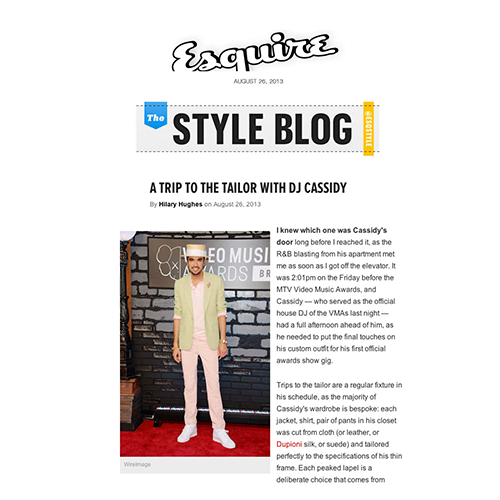 DJ Cassidy has been at the nexus of music, fashion, and nightlife for over half his living years as the go-to deejay for music impresarios, entertainment moguls, fashion icons, cultural trendsetters, and even world leaders. When President Obama wanted a deejay for both of his Inaugurations and his fiftieth birthday party at the White House, there's only one person he called. When Oprah Winfrey celebrated the opening of her school in South Africa on New Years Eve, there’s only one person she called. When Jay Z needed a deejay for his wedding to Beyoncé, there's only one person he called. And when Jay, Justin Timberlake, Usher, and Robin Thicke sought out artists to join their world tours, there’s only one person they called. 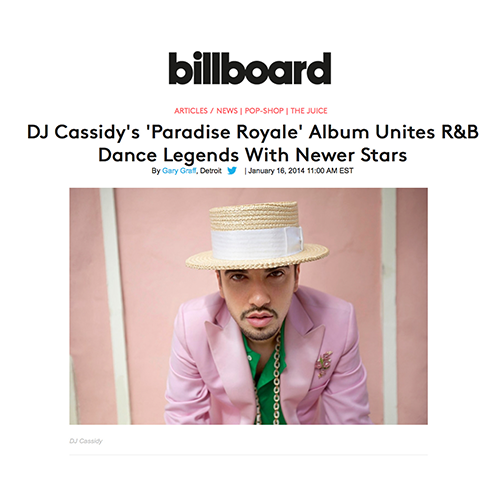 DJ Cassidy's career is the culmination of a lifetime of deejaying around the world, observing people react, and making people move. At age ten, he played school functions; at age thirteen, he played friends' birthdays; by age eighteen, he was playing the VIP rooms of New York City’s hotspots. 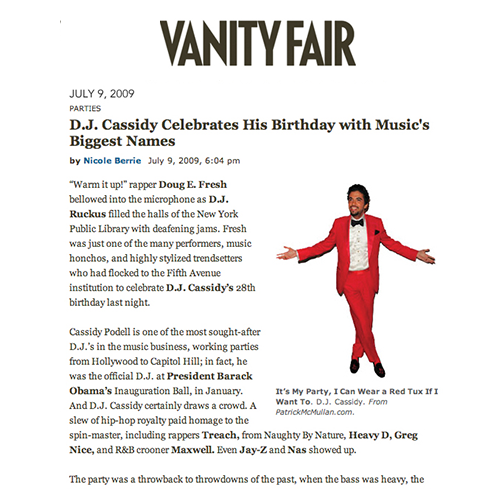 During one late-night set, Cassidy caught the attention of Sean "Puffy" Combs, who, impressed with the youngster's vast knowledge of music well beyond his years, quickly hired Cassidy to deejay at his MTV Video Music Awards bash. Jay Z heard Cassidy soon thereafter and began calling on him for all of his and Beyoncé’s parties. 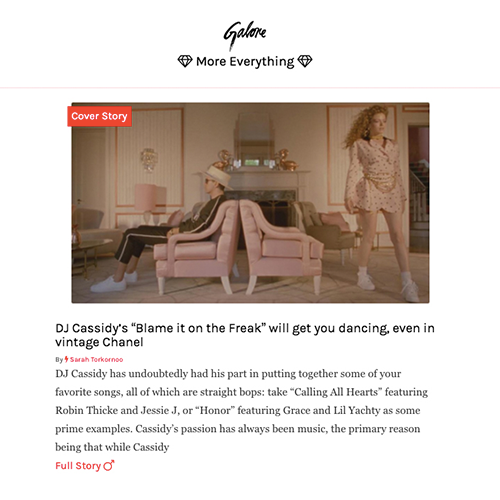 The offers snowballed with Jennifer Lopez, Naomi Campbell, Tommy Hilfiger, Anna Wintour, Pharrell Williams, Kanye West, Kim Kardashian, and the hottest nightclubs around the globe all recognizing Cassidy's unique ability to connect to everyone, everywhere. 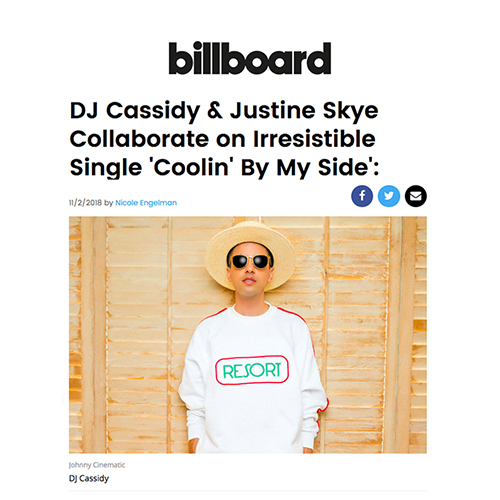 Now an iconic name in the industry, Cassidy has starred in international print, digital, and television campaigns for Tommy Hilfiger, Brooks Brothers, Uniqlo, Sony, Blackberry, and Ciroc. He has produced music for HBO’s “Vinyl,” Netfix’s “The Get Down,” and a television campaign for Target. He tours the world twelve months a year electrifying party people with an infectious showmanship, a crowd-commanding voice, and a musical palette so broad, he relates to everyone within his reach, uniting dance floors around the globe.